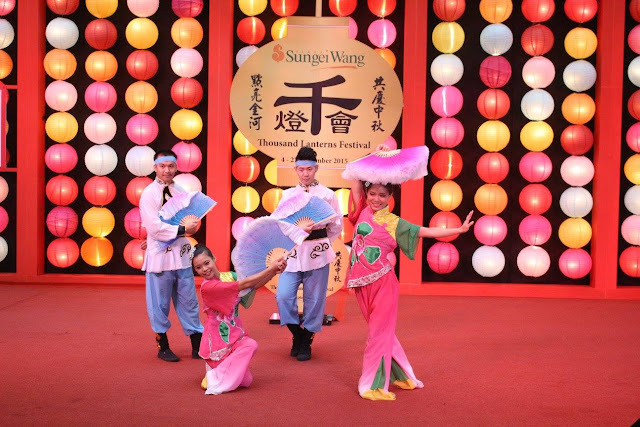 Sungei Wang Plaza is beautifully transformed into thousand colourful lanterns decorations around the entire mall this mid-autumn festival, embracing the iconic theme “Sungei Wang Plaza Thousand Lanterns Festival”. 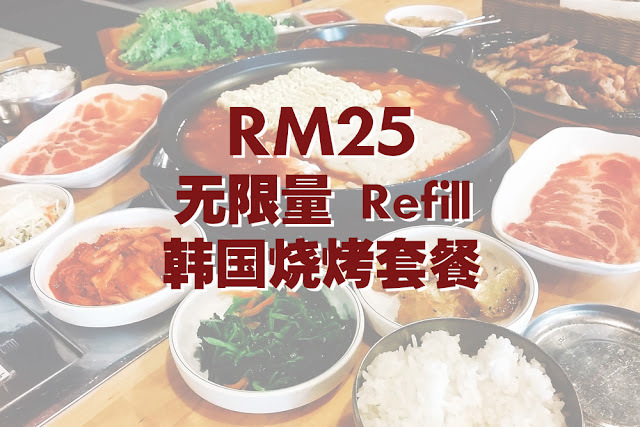 To make the celebration is even a more meaningful, a series of mid-autumn related events & activities has also been scheduled to hype up the shopping from 4th September (Friday) to 27th September 2015 (Sunday) at the Stage & Concourse Level of Sungei Wang Plaza. To complete the celebratory ambience, an interesting line-ups of Mid-Autumn themed traditional lanterns dance performances, Chang-er & Hou Yi character meet & greet, kids’ animal lantern making workshop is also planned for shoppers during weekends. 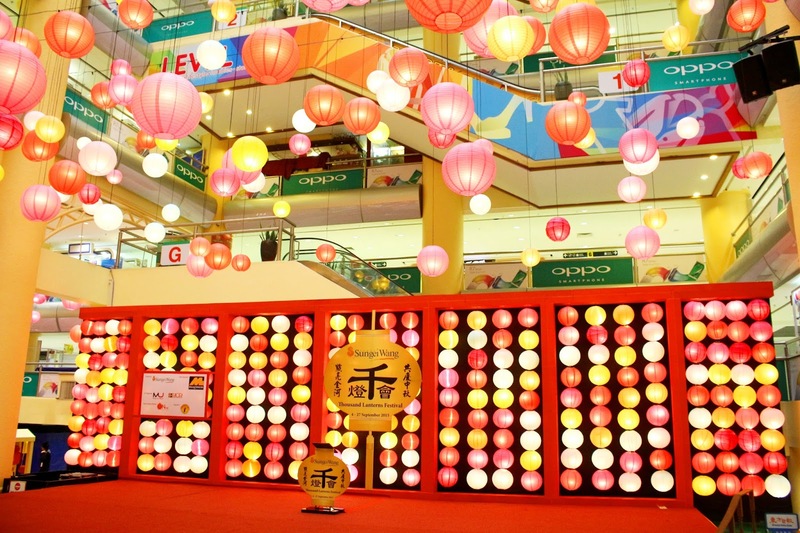 Tourists and shoppers can feel free to pick up some local delicacies at the Mid-Autumn promotional booths which showcase and sell all the mid-autumn related products in the atrium. 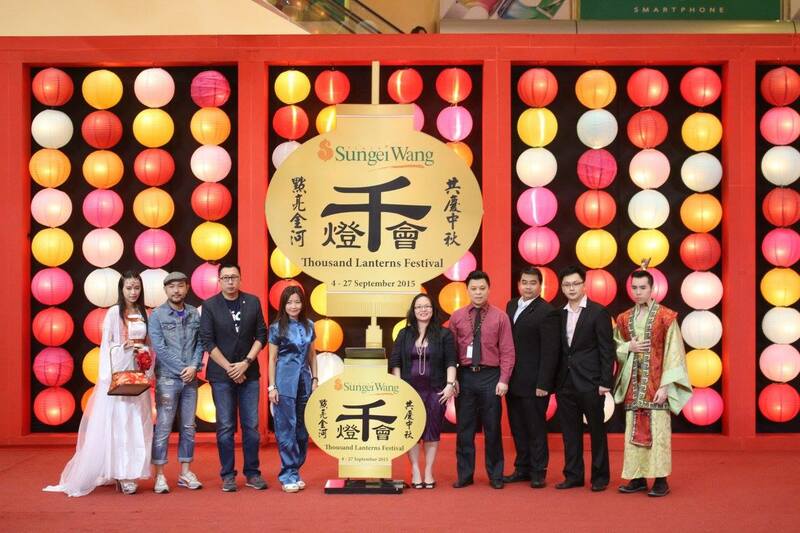 Another limelight of the celebration is definitely the signature event of Sungei Wang Plaza - “Sungei Wang Plaza Thousand Lantern Parade”, on 26th September 2015 (Saturday) starting from 4pm till late. 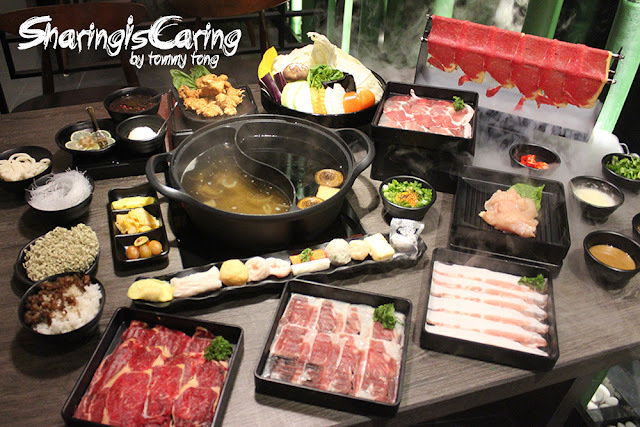 It is aimed to promote Malaysian Chinese cultural activities and reunite with your loved ones through the celebration. The Lantern Parade will be flagged off from the Main Entrance, circulating Sungei Wang Plaza together with the attractive performances by Lion & Dragon Dance troupe. 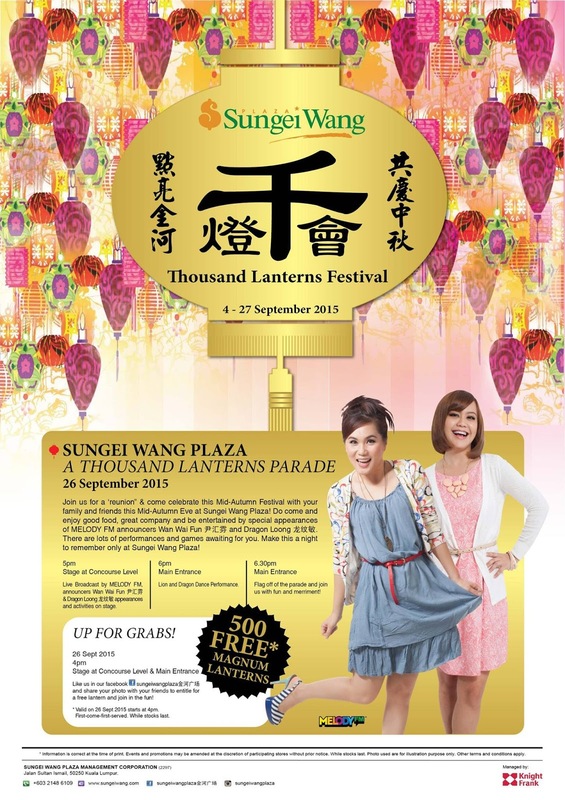 More than 500 Magnum lanterns will be given-away before the parade commences for shoppers to join in the meaningful parade. 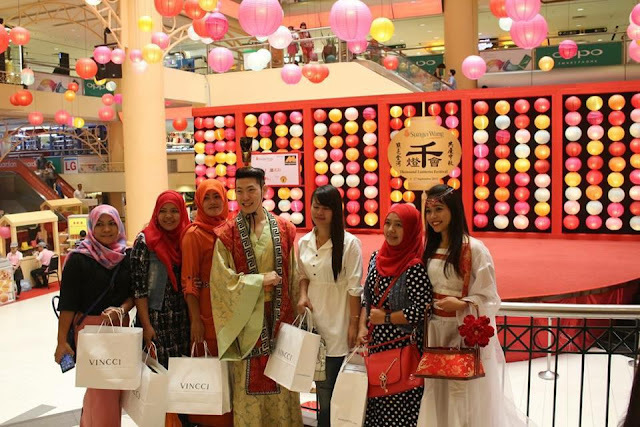 To further evoke the spirit of togetherness during their experience at Sungei Wang Plaza, shoppers get to be entertained by a 3-day from 25th September (Friday) to 27th September 2015 (Sunday). The programme includes Chinese Cultural Performances, DIY Lantern Workshop, Culture Art DIY Paper Cutting by Master Chua Kim Long, ONFM VJ Meet & Greet, Mid-Autumn Story Telling Session by Little Giraffe Club, Kidz Creative Drawing Workshop, 3D Colouring Workshop, ONFM Mid-Autumn Festival Artistes Showcase and etc. Shopper with minimum spent of RM80 in a single receipt from the mall outlets or RM30 in a single receipt from Mid-Autumn Promotion Fair is entitled to participate “Guess & Win” Contest by guessing the total numbers of lanterns in Sungei Wang Plaza, the correct answer or the closest answer gets to win weekly prizes worth up to RM150. The entry form can be obtained from the Concierge located at LG Floor.